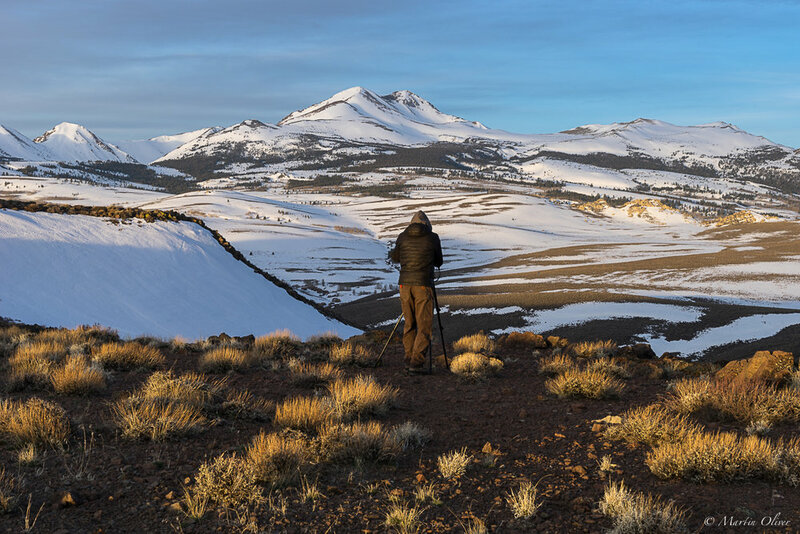 Along the central California-Nevada border a biologically distinct population of Greater Sage-grouse roams through this rolling high-elevation sagebrush country. 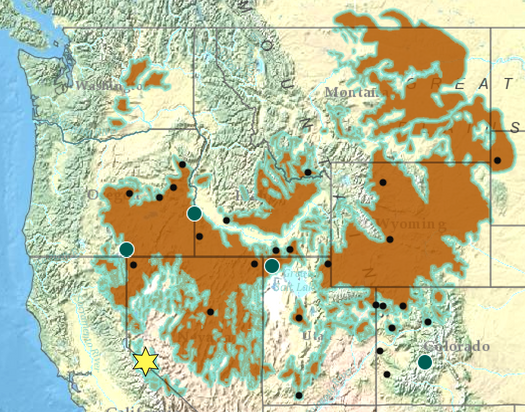 In this 4.5 million-acre landscape, the majority of sage grouse habitat is found on public lands. Known as the “Bi-State population,” this region's population is on the road to recovery, thanks to dozens of public and private partners who have committed to work together across land ownership boundaries to conserve the bird and its habitat. One of the main threats to sagebrush habitat in this part of the range is the spread of conifers into wide-open sagebrush rangelands. Much of the Bi-State area is threatened by expanding pinyon-juniper woodlands, which diminish native plant communities, provide perches for raptors that prey on sage grouse, and reduce water availability to wet meadows, springs, and working lands. 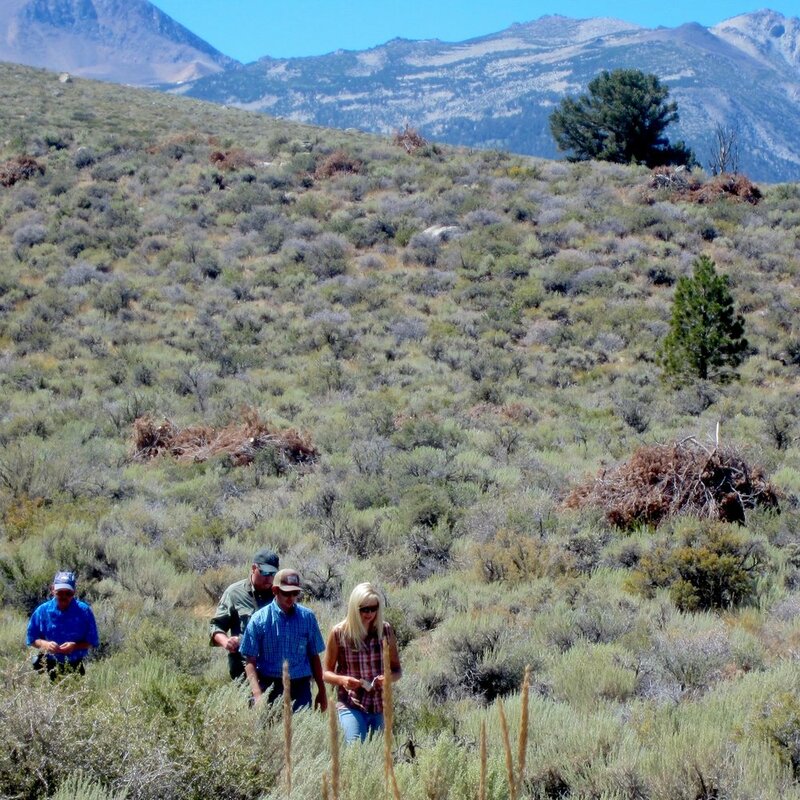 The partners in the Bi-State have ranked areas for conifer removal based on a scientific model combined with on-the-ground knowledge of sage grouse use to spotlight the most important places to work first. 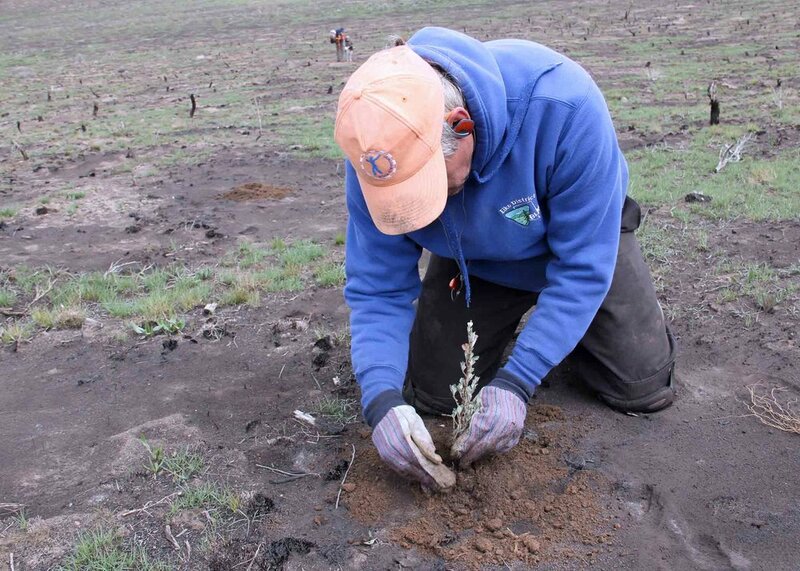 While conifer removal will increase the amount of habitat available, this targeted approach is also intended to improve connectivity among sage grouse subpopulations. In that conifer expansion and wildfire are threats throughout the Bi-State, localized impacts from suburban development and subdivision of ranches and recreation also threaten habitat. The areas for potential conifer removal were identified by the Bi-State Technical Advisory Committee (TAC), using local knowledge of current and historic sage grouse use and habitat characteristics. The projects were then evaluated by a predictive model otherwise known as the Bi-State Conservation Planning Tool (CPT). This tool uses habitat characteristics selected for by radio-marked sage grouse and known grouse use to rank the relative benefit if conifers were removed. The TAC then reviewed the CPT results and identified potential treatment sites as high, medium and low in terms of priority. The polygons underwent refining and were run through the CPT again for further refinement in terms of cost-benefit analyses. This process will continue to be refined based on new information from additional radio-marked birds that will foster an adaptive management approach to selecting treatment areas. Over time, this type of monitoring will also help determine the effectiveness of this work on sage-grouse population health. — Steve Lewis, a University of Nevada Cooperative Extension educator who has been facilitating the Bi-State Sage-Grouse efforts since 2001. 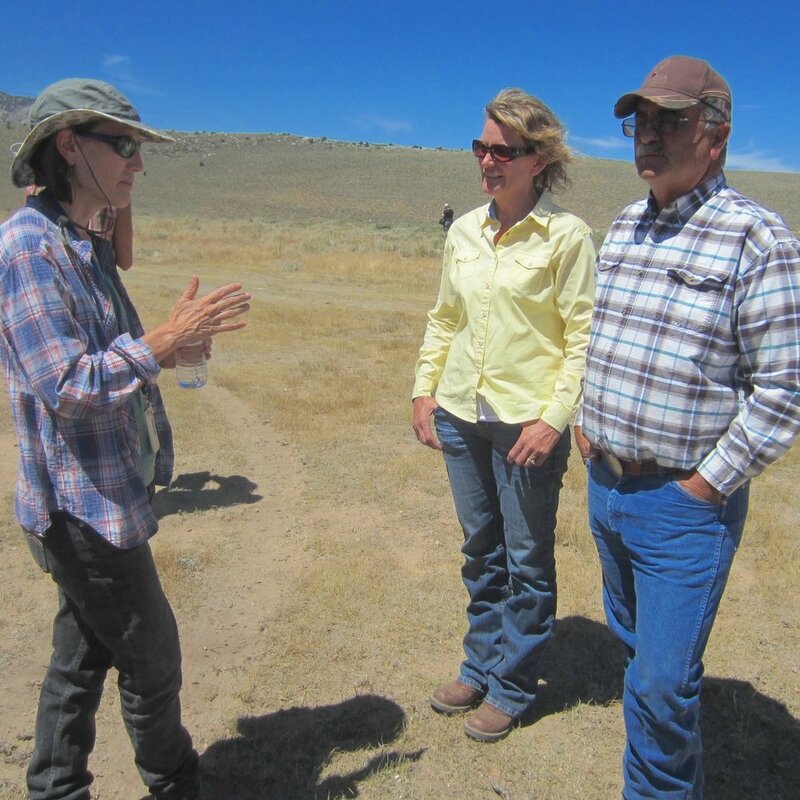 A partnership called the Bi-State Local Area Working Group formed in 2000 to address threats to sage grouse and nearby communities. This group is comprised of representatives from multiple state and federal agencies as well as private landowners and nonprofit organizations, all of who help make big-picture decisions and allocate resources. Partners meet regularly to discuss current issues, as well as to implement and monitor proposed and completed conservation actions based on emerging science. Their main focus has been conifer removal projects that span across public-private fence lines to yield a landscape-scale benefit for wildlife. Since the 2012 action plan was signed almost 40,000 acres of the highest priority areas have been treated for conifer removal. However, these initial cuts are not just a one-time deal. Several years after being cut, crews go back out to the treatments to make sure the juniper stumps are not re-sprouting and to cut any trees that were missed. Additionally, wildfire is a major threat that folks are working together on by reducing fuels, fighting fire in new ways to save islands of sagebrush, and holding yearly trainings for fire personnel on tactics to minimize long-term firefighting impacts to sagebrush. By working with landowners to establish conservation easements on private lands partners have also secured essential brood-rearing habitat for the bird in perpetuity. These partners work for the overall health of the ecosystem rather than simply for the goals of any one agency or organization. This camaraderie and collaboration is tantamount to the group’s success. This group’s collaborative foundation was a key element in the U.S. Fish and Wildlife Service’s not-warranted Endangered Species Act decision for the Bi-State population of Greater Sage-grouse in 2015.